inClub is a totally customizable wine club where you choose everything or let them choose for you. Their everyday drinkers deliver amazing quality-price-ratio due to clever buying strategies, but the magic is in focusing the wine club on your favorite regions, styles, and varietals. This is the perfect wine club gift for a very picky or knowledgable wine drinker. We'd love to see a ton more pre-made "personality profiles" to make sign-up at any price a breeze. Also, the ability to buy a case at a time would be fabulous. We can't find a link to inClub - Everyday Wines. Please have a look around our site to see if you can find something else you'd like. Cleverly designed to be precisely as personalized as you want it to be, you can say “send me anything at $49 per shipment” or you can say, “I want an Alexander Valley wine club with only high-end wines for $149 per shipment” and you’ll get exactly what you want. Somewhere in between being totally open to anything and manually selecting every varietal and wine region (which they let you do) lie a few pre-made wine profiles — like The Globetrotter which sends roughly 3 bottles of Everyday wines for $49 a month (shipping included). Everyday wines are those you’d find in an Invino sales event for $15 or less. Of course Invino prices are always 30-70% below actual retail. You can choose your shipment budget — $49, $89, $149 — and shipping is included in that price. If you're not familiar with Invino, see the sample page (to the right) we took a screenshot of on review day to exemplify their awesome deals. A $15 Russian River Pinot Noir (retail value of $45) is a steal on a great Pinot AVA. Don’t know what you like or ready to try something new? Take the Palate Profile quiz. Invino is one of three wine clubs working toward personalized wine selections based on your taste preferences. Answer their series of questions and they’ll establish your Invinome (each of the wine clubs has a cutesy name for their palate selection feature). Club W also offers a quiz for this—it’s six questions about different types of flavor profiles you’d encounter in wine. It addresses taste, but not quality. The inClub quiz has 30 questions, probing your Loves, Dislikes, and Wants, some of which have nothing to do with wine and some of which are really marketing questions buried in a palate quiz. We like that they address quality of wine which, to us, is critical. The quiz is also filled with false choices and odd assumptions, but since you don’t have to select anything that doesn’t apply to you, you can just skip over the parts that seem weird. Here are the results of my quiz... my Invinome is Embracing Adventurer. I’ll say this, they are the ONLY wine club with a palate quiz who got my wine type right. Lot18 missed the mark by too much, and Club W doesn’t really reveal what your “type” is, so you never really know how they're making recommendations. For most wine drinkers, a simplified version of the club will work well, and function more or less like any other wine club. You decide on a budget and shipment frequency, and wine just comes to you. You can also make the standard selections of red wine, white wine, mixed, or sparkling, and you even get to choose Sweet wine (which is a rarity these days) and Rose (which we’ve not seen anywhere else). For frequent wine drinkers looking to round out their everyday cellar selection, this is also a great club. You can make bigger orders (the $149/shipment selection probably gets you 9-12 bottles) and get the Invino selection of wines delivered without having to jump in to every sale event. Already Know Exactly What You Like? This is Your Wine Home. A lot of wine clubs that are popular, like Tasting Room by Lot18 and the WSJWine Club, assume that you don’t know much about wine and you just want to drink whatever shows up. There’s nothing wrong that, but that style of wine selection doesn’t work for people who want to have a hand in what shows up. If you want it to be, this wine club is completely custom and tailored to you and your exact preferences. Say you love Bordeaux and Tuscan wines. Voila, there’s your custom wine club. Or say you want wines from the southern hemisphere... boom! You got it. But what if Invino doesn’t have any Australian Syrah kicking around in their warehouse? No problem... they will go out and get the wine needed to fulfill your club shipments. Yep, that’s what they said! While it’s got to be a logistics nightmare, it’s definitely a coup for wine clubs and makes them King of Customer Service. The possibilities are pretty much limitless! At WineClubReviews.net we take an objective approach to our star ratings system. Our written reviews are very much subjective, based on our 5+ years of wine club review experience and our own ideas about what good wine and good value mean. The star ratings are based on 11 attributes that we feel define what a wine club should be. Here is how inClub - Everyday Wines stacks up on these traits. Over the years we've received several cases of wine from invino. Some we've ordered as customers and some we were sent as wine club reviewers. Everything we've ordered has been sub $15 and would be characterized as "Everyday Wines." The are the best wines you're going to get for less than $15 per bottle. Full stop. This is an area where invino has an extreme edge over all their competition—they're already buying in volume at great prices. The inClub pricing model is quite opaque in terms of understanding how you get your value (you don't know how many bottles you'll get in each shipment or what they really cost)—until your shipment is sent! Then, you see exactly what you paid for each bottle and what it's retail value is. In our case, our "$149 case" had $139 of wine in it. Shipping is free for inClub customers, so that would be $10 for shipping. I can tell you, it costs WAY more than $10 to ship the wine, which really means you're getting a membership loyalty price that's below what regular invino members pay for these same wines. Invino gets the top score for convenience a wine club can get. All aspects of managing your club can be handled online, including pausing and cancelling your membership. You can, at any time, change the size of your shipment, how often you receive it, and what is in it. You can change it as often as you like. You'll also receive timely shipping notices so you always know when your wine is inbound. A personalized wine club used to mean you picked the color of your wine and how often you received your two-bottle selection. Thanks to wine clubs like inClub, Tasting Room by Lot18 and Club W, personalization now means just that, the club is tailored to your preferences. ONLY inClub offers you a completely personalized selection where you can order exactly what you want and let them pick the wines that fit your palate. Warning: this assumes you know what you like! If you don't, choose one of their "pre-made" options to get a great wine club experience with less personalization. The inClub by invino is truly unique. There is not another wine club in the country that dares to personalize every member's subscription. INSIDE FACT: In 2009, drought conditions, low yields, and heavy storms during harvest produced wines with intense flavors, deep colors, and concentrated tannins and acid—a welcome relief after the previous year’s extreme temperatures and wildfire smoke. inClub does not have an introductory offer. With free shipping and already discounted prices, they really don't have room in the budget for it. There are no discounts on reorders or inclub-specific members-only deals, though you may find your favorites show up on Happy Hour specials or other members-only deals at invino. We give the customer service at invino a thumbs up! Given the complexity of their wine club and the customer support needed to make it all hang together, we anonymously called in with a bunch of questions which they handled with ease. We've never had any customer complaints about invino. Invino relies on its extensive network of connections in wine country (where they're located) and around the world to source awesome deals on great wines. After that, most of the curation is done by you! Invino offers a 100% satisfaction guarantee. If for any reason you experience a problem with the quality/taste of a bottle, we invite you to please email us at [email protected] within 90 days of your purchase for an instant credit (minus the cost of shipping and tax) to your account. Simply provide the details of how the wine did not meet your satisfaction, and we'll take it from there. Your Insider Credits will then be available to use on any future wine you'd like. The giftworthiness of inClub is a bit of a mixed bag. If you're buying for someone who's really into wine and knows a ton, this is the dream wine club gift. 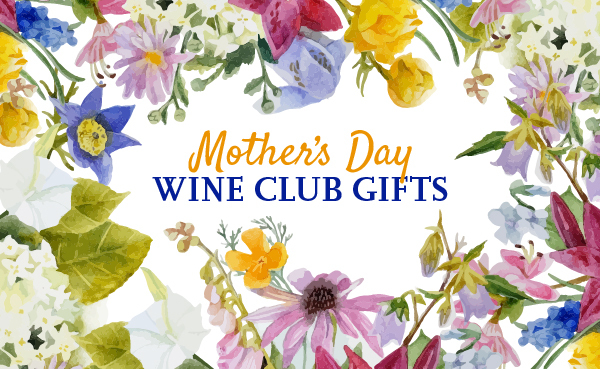 If you're buying for someone with less wine experience, this club might be overwhelming for them. If that's the case though, you can choose from among the Everyday Wines, Upscale/Premium Wines, and Special Occasion Wines to get a cool wine subscription to your wine lover. Caveat: They don't do gift packaging.